He'll play in their Johnstone's Paint Trophy tie against Oxford tonight but that will be his last action for Argyle and he'll be back with the Clarets immediately afterwards, but having already made 16 appearances for them this season, to add to those in his loan spell there during 2011/12, he's now ready to sign for them in January. Speaking yesterday, he said: "As it stands at the minute, I'm going back to Burnley. I haven't spoken to the manager (Sean Dyche) up there yet. Under the previous manager (Eddie Howe) we were talking in terms of me coming down permanently. "At the minute, nothing is sorted but it's something I'm open to and something me and the manager (Carl Fletcher) have spoken about on a number of occasions. It's up to the two clubs now to agree something and then give me the okay to open talks and get personal stuff sorted out." Alex added: "I don't want to go back to a club if I'm not going to be playing. There is nothing better than playing on a Saturday. I enjoy that the most. I think maybe it is time for me to move on from Burnley, but that, a the minute, is out of my hands. It's not up to me. I will see what happens over these next few weeks now." Plymouth boss Fletcher has confirmed it is something that they would wish to do and it is likely that MacDonald will become a Plymouth player next month. 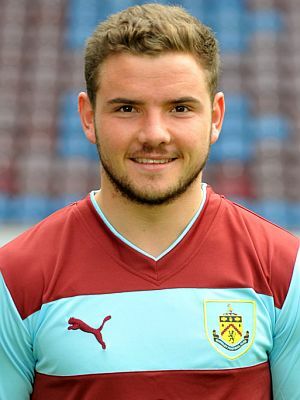 He made his Burnley debut as a substitute in the last home game of the 2007/08 season against Cardiff, coming on for Wade Elliott, but he's made only 11 substitute appearances for the Clarets in the league with his only starts coming in League Cup ties against Cardiff and, this season, Plymouth.